There are many reasons why people decide to buy a new house, from the newly married couples looking for a home to start their lives together to relocating to another region because of a new job. Many have been living on a large property for many years and would now like to downsize. Whatever the reason, buying property does involve a lot of paperwork and other legal requirements. Today, there are many technological aids like online bond and transfer duty calculators that can help buyers through the selection and selling process. A very important step in the buying process, is to figure out what you can afford. To help with this you can get a pre-approved home loan. The results will show what price range of houses you can start looking at. Always remember to leave a bit of extra in your budget, which can come in handy if you want to negotiate a price. 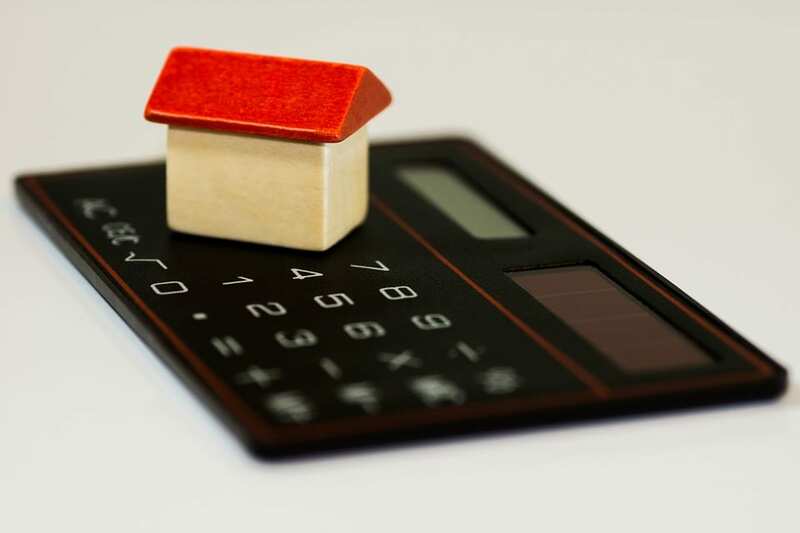 Many property sites and banks offer an online bond calculator that can give you a basic idea on what you should be able to afford. Take into consideration the location of the house. The property itself might look wonderful, but is the surrounding area growing or declining, which could ultimately affect the value of the property over time. You should also have a look at where the nearest schools, shops and other amenities are. Online property searches are so much more these days providing quality photos, and even virtual tours, but to really get the feel of a house, it would be a good idea to visit the actual site before making any decisions. The online property sites also have filters that can narrow down your search criteria, which could save you some time. Online property sites allow you to do many things that will help you with the property buying process. There are several services they provide including things like calculators that help you to determine if you can afford to buy a house. When looking at a house you are interested in, it is advisable to check the building structure thoroughly. When deciding to buy a house, it is important to look for things like wall cracks, tiles that are missing and broken widows amongst other problems. Many of the older homes have wooden window frames, which if not looked after can become troublesome. If you must consider fixing or replacing the windows, could cost a lot of extra cash. Cracks can just be from the plaster on the wall, but in some cases may be an indication of structural damage, so by identifying these issues can save you a lot of money. Turn on the various taps in the house to ensure the water pressure and geyser is functioning properly. Check the toilet and other bathroom fixtures. Not only can this create extra costs in the long run but having a toilet that keeps leaking or gets blocked all the time, is not pleasant. Make sure to find out that any recent property alterations made, were done properly, should any extra structures not comply, you as the new buyer will be held responsible to correct these alterations. Once you have done this and are happy with a property you can afford, you can make an offer. The price of a property can either be negotiable or non-negotiable. So, if it is negotiable, it would be a good idea to first find out what the property prices are within the area you are purchasing in. You could also hire an Estate Agent who would know these things, or you could pay for a property valuation report yourself. After you have made an offer and it’s been accepted a formal offer of purchase will be made and signed by both parties. This part of the buying process involves a lot of legal requirements and some costs are involved. If you are buying through an Estate Agency, they will guide you through the whole process including recommending a conveyance attorney. From the time that the offer for the property is made until the property is registered in your name can take anything from four to eight weeks, if all goes according plan. Anybody buying a home is preparing to lay out a very large sum of money for their purchase and should calculate all the costs that they are required to pay. However, no one likes to find out that there are extra costs, which they have failed to take into consideration. These are often referred to as hidden costs, as they are not required to be paid by you up front and are usually included in your bond repayments. These hidden costs are called transfer costs. This is a legal cost that must be paid to the Government (SARS) in order to have the property transferred from the seller’s name to the buyer’s name. It is also the major share of all the transfer costs involved. One should take note that there are exclusions from this cost. Firstly, if the seller of the property is registered as a “Vat Vendor” then the buyer will be exempt from Transfer Duty costs. This is because the seller has made the VAT payable on the property as part of the purchase price. Secondly, according to the new budget conditions, no transfer duty is payable if the property is sold for R900 000 or less. If you are a potential buyer and the purchase price is over R1 million then you are liable for Transfer Duty Costs. At this stage you would like to know what the Transfer Duty costs will be. This is where the Transfer Duty Calculator comes in very handy. Most of the estate agencies and all the banks and lenders offer you this option. All you need to do is access their website and fill in the purchase price of the property and the Transfer Duty Calculator will automatically calculate the transfer duty cost. If the purchase price of a property is R1, 5 million then the transfer duty will be about R25, 000. This cost is a once off fee that takes place before the property is transferred. This is a fee that needs to be paid to the transferring attorneys, who are responsible for getting the property transferred from the seller’s name to the buyer’s name. This fee can vary from one attorney’s office to another and is also dependant on the price of the property. To protect the property buyers, all the transferring attorneys are subject to the tariffs recommended by the Law Society. If the purchase price of a property is R1, 5 million then the transfer duty will be about R20, 000. This cost is a once off fee that takes place before the property is transferred. These fees are payable to the transferring attorneys for their sundry costs of posting documents, going to the bank, contacting estate agents and the deeds office. This fee is usually a fixed amount but can vary from one attorney’s office to another. The general amount set is around R750.00. This cost is a once off fee that takes place before the property is transferred. Here, the fee is payed to the Deeds Office, who are responsible for legally transferring the property from the seller’s name to the buyer’s name. This fee is fixed and is determined by the amount of the home loan. For you to get a better idea of the cost involved for a home loan of R1 to R2 million, the fee will be around R900.00. Most of the financial institutions when making use of their Transfer Duty Calculator include all the above costs. Now all of that has been calculated, you might think that is the end of all those hidden costs, but what about bond costs? If you are not fortunate enough to be able to pay cash for your property, then you will be liable for bond fees. These costs are also divided up into three sections and are separate from your transfer costs. This is payable to the bond registration attorneys, who are responsible for the registration of your bond. The amount is dependable on the value of the property and can also vary from one law firm to another. However, all the law firms are subject to the recommendations of the Law Society for their fee. With a bond of R2 million this cost will be around R16, 000. You will have to pay this fee to the bond registration attorneys, to cover things like posting documents, telephone calls and other sundry expenses. The amount of this fee can be in the region of R750.00. The bond registration attorneys require this fee in order to legally register the bond in your name. The amount payable is dependent on the size of your bond. In order to get a better idea of this cost for a home loan of R1 to R2 million, the fee will be around R900.00. Most of the financial institutions when making use of their Transfer Duty Calculator include the calculation of bond registration costs. All you need to do is fill in the amount of your bond and the Transfer Bond Calculator will tell you how much you will be liable to pay in order to have your bond registered.